This post originally appeared at Dollycas’s Thoughts June 1, 2011. I was introduced to Clare by her Someday Quilts series, they are so good. A couple of months ago she sent me an Advance Review Copy of the first book in her new series starring Kate Conway and it broke my rules, very rarely do I LOVE the first book in the series because I feel it takes more than one book to get to know the characters, the protagonist, the setting and the background. But this book grabbed me from page 1. I am thrilled to have Clare here today to tell us about writing two series that are so vastly different. For the last few years, I’ve spent part of my time in a quiet river town called Archers Rest. Three hours north of New York City, it’s famous for three things; an amazing shop called Someday Quilts, a larger than logical murder rate, and for being entirely fictional. It’s been fun for me to write each book in my Someday Quilts series, including The Devil’s Puzzle, which will be released in late September. I love Nell Fitzgerald, the main character of the series, and I love being part of the lively quilt group, who manage to solve murders and finish most of their quilting projects at the same time. Archers Rest has become a very comfortable place for me to hang out, and I hope for the readers of this series as well. But things are changing. With the release of Missing Persons, the first in the Kate Conway Mysteries, a new location, a real location – Chicago – and a new set of characters, is taking hold on my imagination. Kate is older and more sarcastic than Nell. And the world of Missing Persons is more complicated. There’s no quilting (though I do mention a quilt in the book!) 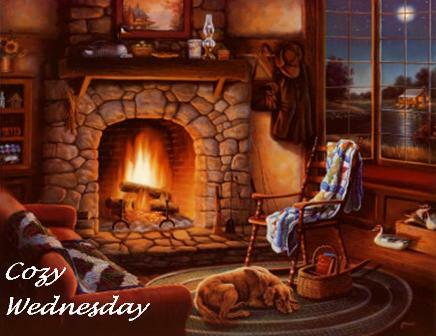 and, unlike the deaths in my Someday series, which I like to refer to as step-over-the-body murders, the mysteries in Missing Persons change forever the lives of all involved. Some people have asked if it’s hard for me to write two very different series at the same time. No more difficult, I think, than having two friends with different personalities. Nell is romantic, curious, and headstrong. An art student and quilter, she is surrounded by the love and protection of her boyfriend, Jesse, and her grandmother, Eleanor, as well as all the members of her quilt group, including its most popular member, Barney, the loveable golden retriever. Nell’s curiosity may get her into trouble, but she has plenty of people around to keep things from getting out of control. Kate, on the other hand, is complicated, funny, and overwhelmed. She has no quilt group, no grandmother, no boyfriend, to offer support and friendship. Her soon to be ex-husband is dead, and Kate is left with her in-laws, her meddling sister, and worst of all, her husband’s girlfriend. Plus, her job as a TV producer of a true crime show requires her to exploit the family of a missing girl. Something Kate does just well enough to feel bad about it. Kate isn’t curious. In fact, she just wants to sit on her couch and eat take-out Chinese. But she hates to be treated like a fool. Kate looks into the death of her husband and the disappearance of the missing girl because she is convinced that someone is lying – and she does it without knowing if anyone will be there to help if she gets into trouble. Kate and Nell might not be similar to each other (or to me) but I like them both. And going back and forth between them allows me to talk about life, death, love… you know, all the big subjects… from two very different points of view. Of course, as I launch Missing Persons, I do wonder if my readers will like Kate as much as Nell. It’s always hard to introduce a new friend to an established circle. But I’m hoping they give Kate a chance. She may not know how to quilt, but Kate Conway sure has a knack for tripping over a body, and who doesn’t need a friend like that? 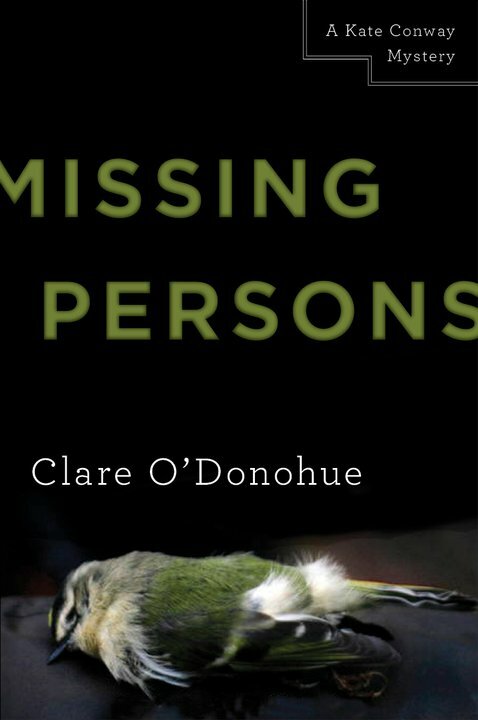 Clare O’Donohue is the author of four novels, including the just released Missing Persons; A Kate Conway Mystery. She still works as a TV producer and writer, and lives in Chicago. Check out her web page for more information. Kate Conway’s soon to be ex-husband Frank is dead and the cops always think the spouse did it so Kate becomes the number one suspect. Strange too is that his new girlfriend wants to be her new best friend. She decides to bury herself in work to get her mind off his death and give the police time to find the real killer. She is offered a new assignment for a brand new series, Missing Persons. Kate starts researching the story of Theresa Moretti, a young woman who has been missing for a year. Her family is still holding out hope Theresa is alive and believes Kate will find her. Kate just wants to get enough footage to tell the missing girl’s story and move on but Theresa’s family has really touched her which causes her to dig a little deeper and the more she digs she finds the death of her ex may be related to this Missing Person story. She also finds the deeper she digs she may be putting her own life in danger. This is an edgy story that not only draws you in but educates on how these True Crime shows are made and with an author that has a background in television all the jargon rings true, especially how long it takes, how much film is needed, and how much is cut to tell a story in about 22 minutes. The unexpected is that as each clue is uncovered you feel you are actually right on the scene. This can happen with a lot of stories but this one actually played in my mind’s eye like a television program. It made you almost forget this is a work of fiction and that you were actually reading a book. It really is hard to believe the same author who wrote the Someday Quilts series in the same person who wrote this book. Clare you have a wonderful imagination and I LOVE IT!!! I am sure readers of the previous series will love this book but I see it bringing in a whole new group of readers, those who love true crime. This story fits the description of a cozy mystery in the way that the crime solver in an intelligent female amateur sleuth, but this series seems to go further just because of Kate’s job and takes place in the big city of Chicago. This series has a wealth of information available as people go missing and crimes are committed everyday. I look forward to being on the scene of the next Kate Conway Mystery.